Happy Tuesday and welcome to another great sketch challenge at Seize the Sketch! 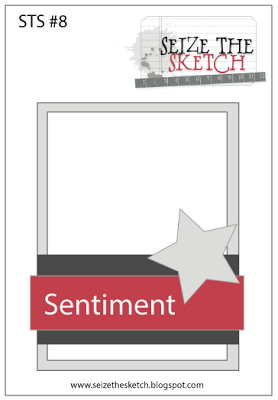 Our sketch designer this week is Stacey, and what a sketch it is! Our sponsor this month is Sweet and Sassy Stamps who so generously supplied up with today's digital images!! I used - Save The Turkeys! :) You have until November 24th to play along for a chance to win a $10 gift certificate!! Cathie, this is infectiously CUTE, dearie! Your fun patterns are the perfect backdrop for this cute little turkey! too cute!! I need to get my thinking cap on and decide how to play along!! Loving your card and that turkey! LOL...this is so fun Cathy!